BACK-UP OFFERS WELCOME! 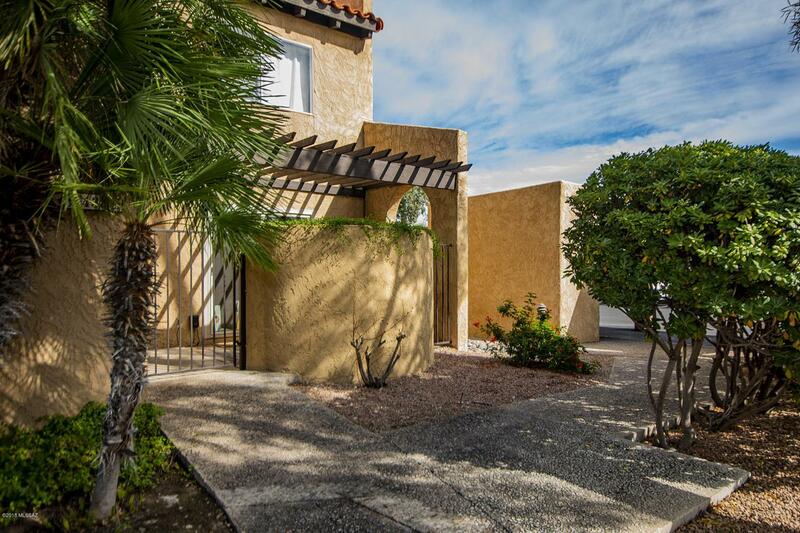 Move right into this tastefully updated 1st-floor condo in the lush Tamarack complex! This spacious unit, near UA & thriving downtown, boasts many features: Ceramic tile floors thru out & recent carpeting in the bedrooms. 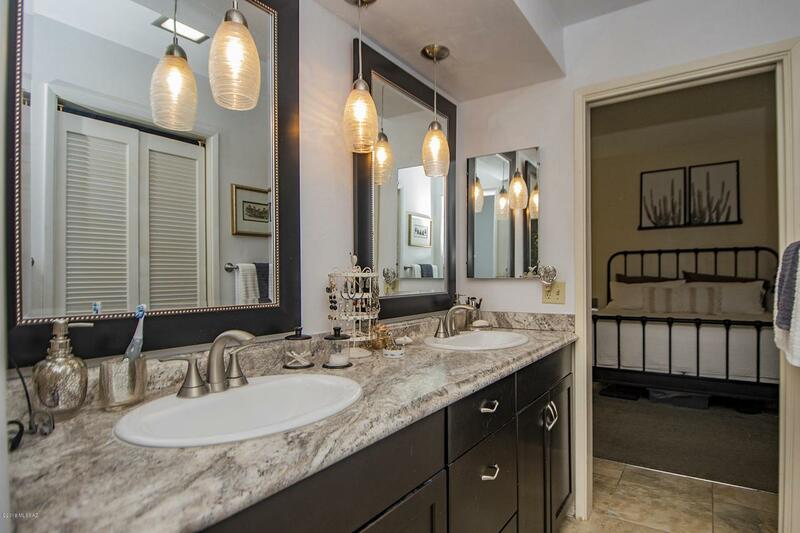 In both baths, elegantly updated cabinets, countertops and shower-surrounds. 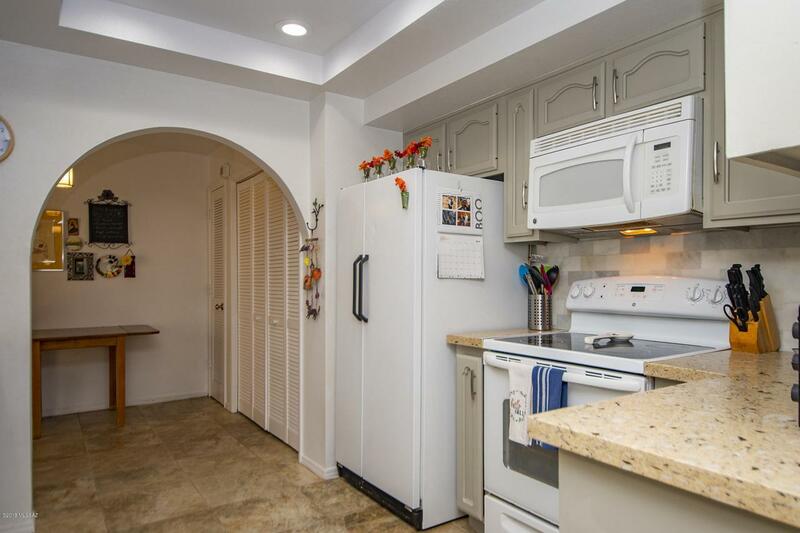 Adjoining the large, light kitchen, an extra room suitable as a nook, craft room or whatever you envision! A dining area large enough for entertaining. A cozy living room with a wood-burning fireplace & built-in bookcase. All set against a dramatic, wall of windows that open to a covered patio and green courtyard. 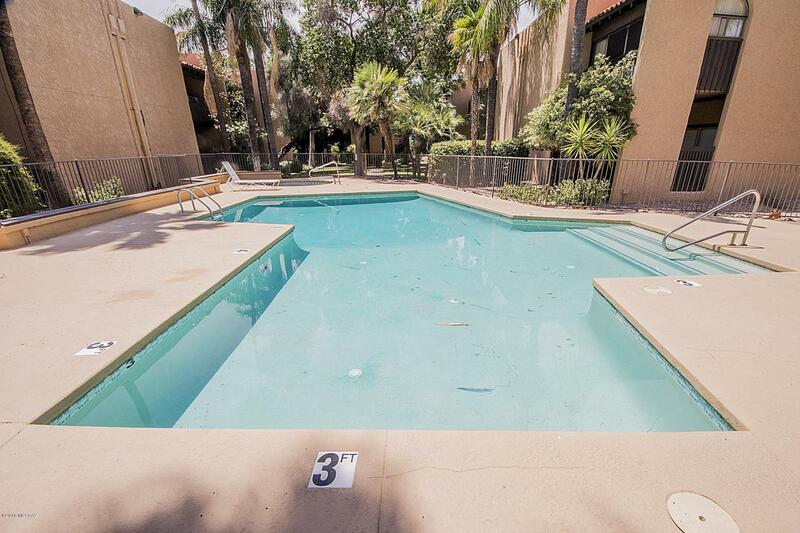 BONUSES: 4 Energy-Star sliding glass doors, a storage room & the current owner has replaced the A/C unit and water heater! Walk to shopping, movies & dining.